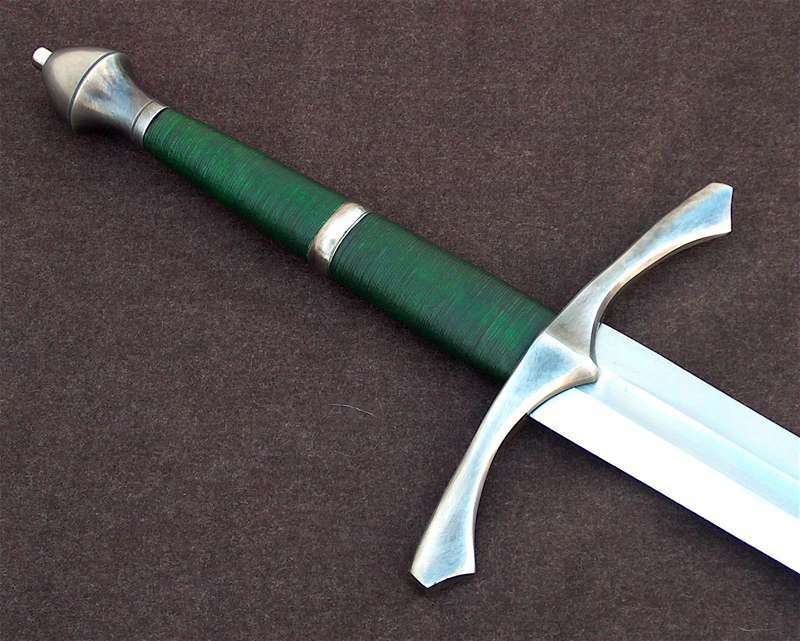 I am looking for information on Cristian Fletchers Borderwatch sword i.e. handling characteristics, personal opinions, etc. I have contacted Christian who relayed that there was an article in the November 2006 issue of Blackbelt Magazine but haven't been able to find a copy in the local book store. I haven't had any luck on myArmoury as well. Christian makes the sword with either the Atrim or Albion blade. Any information that you can share on either or both blades is greatly appreciated. May I suggest looking at Sword Forum International. If you do a search their I believe you will find loads of information on this blade. Wish I could help you more. Please note the description for this forum: "Discussions of general history and other miscellaneous topics relating to arms and armour that do not specifically fit our other forums" and the description of the "myArmoury.com Features Talk " forum where this was originally posted: "Discussion and feedback on articles, essays, reviews, contests, and other features of myArmoury.com". Posted: Sat 16 Dec, 2006 3:38 pm Post subject: i have one! I have a great one with the 1315 (i think) Atrim blade. 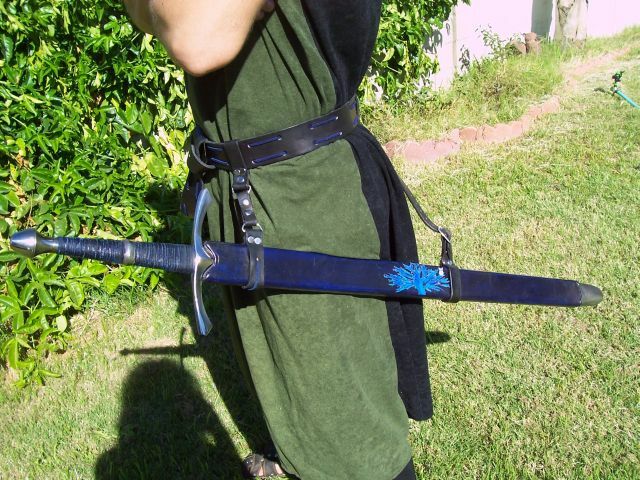 i just had my friend make me a scabbard for it! its such a great sword, handles well, cuts like a champ and fells very powerful in my hands. i picked the dark blue leather wrap for something fantasy-ish and diffrent. my pommel is peened on aswell, but it still screws on and off for easy cleaning. 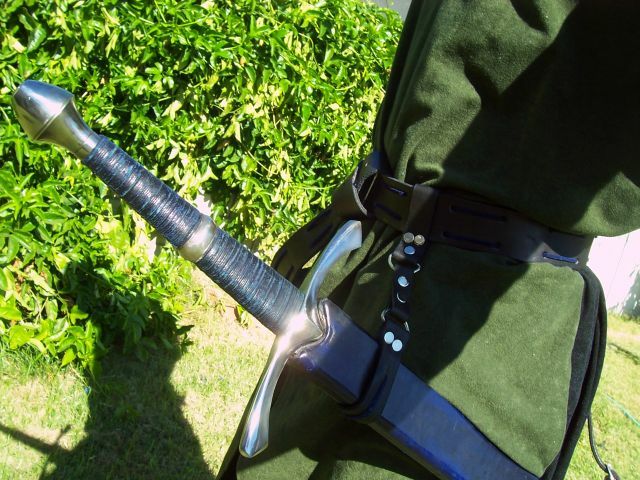 the hilt work is what makes the sword. if you like the look, buy one. i was very happy i bought one and bought one for a wedding gift for my friend. its much better in person. its the metal ring that really makes me love the sword! im actully about to post My beautiful boaderwatch on here for sale. if you like what you see and you dont want to wait 8 months like i did. we could work out something! deffinately go with an Atrim blade though. It is the etched one on CF's website. It is, hands down, the best cutter of light targets I have ever used. It is extraordinarly tolerant of bad form, poor alignment, and all of the other mistakes I make. Few cuts made with it by anyone have been botched. Frankly, this is the only sword I have ever seen at a cutting party that I can say that about, and I've cut with some very impressive swords. Is there a bad side? Well, that depends on your perspective, I suppose. The finish on the blade is not as silky smooth or line-perfect as my Albion blades. There are machining marks still clearly visible on the blade. Would that bother you? You could polish them out yourself, or I suppose you could pay CF extra to work his magic on the blade, too. There is a secondary bevel clearly visible on the blade. Bad? Again, I think that depends on what you want or expect. 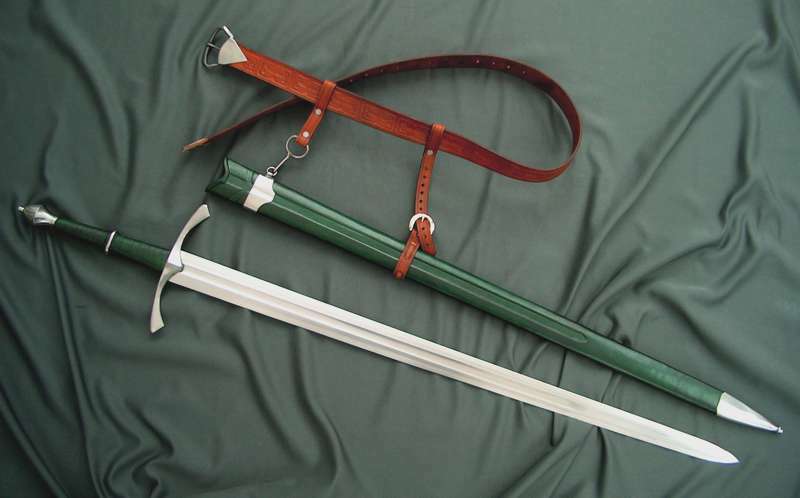 I'm certain that the Borderwatch with the Albion blades would be wonderful swords. If I had it to do over again, it would be a tough choice. I love my Albion swords. But this Borderwatch is definitely something special. Posted: Sun 17 Dec, 2006 3:40 pm Post subject: Re: i have one! my pommel is peened on aswell, but it still screws on and off for easy cleaning. It can't be peened on and screw on and off. If it is truly peened, then that's an assembly that takes filing/grinding to remove. Peening is hammering the end of the tang down over something, sqaushing the metal and forming a rivet head to lock everything in place. Posted: Mon 18 Dec, 2006 11:26 am Post subject: Re: i have one!